be able to create a government? As the old adage goes – to retain respect for sausages and governments you should not watch them being formed. To stretch the analogy, Prague remains a giant and possibly broken sausage machine trying to fuse together some unlikely ingredients into a government. Added to this the man in control of the machine, President Zeman, is by no means an impartial observer. 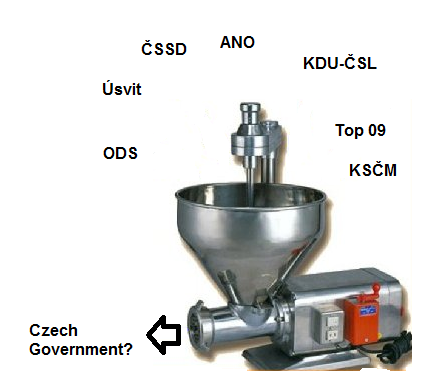 So will the Czech machine manage to form a new government supported by 100+ deputies in the 200 strong parliament? There are a number of possibilities, mostly centred on the Social Democrats (ČSSD) and maverick millionaire Andrej Babiš’ new ANO party, but if you do the maths it is just conceivable that ANO could form a centrist/centre-right government excluding the Social Democrats – if all the other small centre-right parties can agree and a Presidential veto is avoided. ODS, the centre-right party which led the last coalition government is still in parliament but is now a shadow of its former self (although polls suggested it could do even worse). 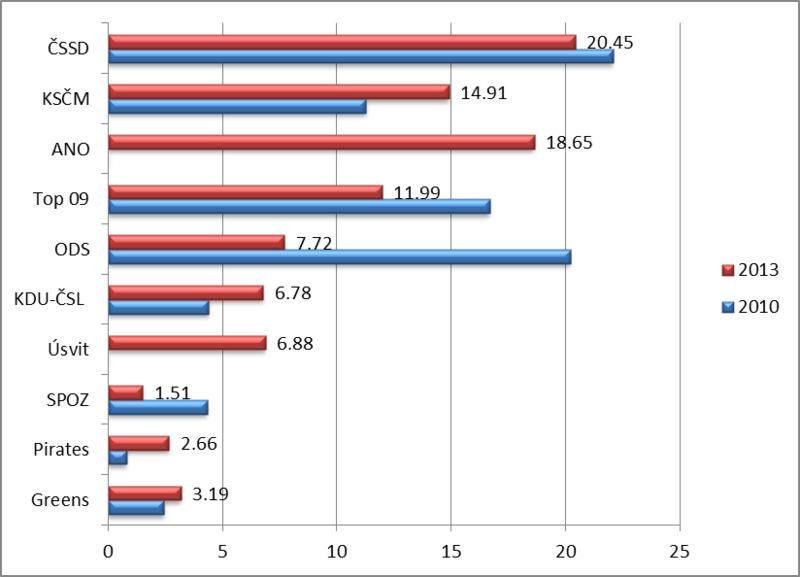 Added to the fragmentation of the centre-right another problem is the surprising weakness of the ČSSD Party. This weakness is compounded by President Zeman – whose own SPOZ party failed to make it into parliament – been accused of orchestrating calls for ČSSD leader Bohuslav Sabotka to resign, calls which he has so far resisted. It has been suggested that Zeman’s plan could be to replace Sabotka in order to make way for the appointment of his ČSSD ally Michal Hasek as PM. As with most continental elections, there will be no mad rush to fix a coalition. Agreement between the ČSSD and ANO will not be easy, and there is no longer an obvious ČSSD candidate for PM who would gain the approval of the President. A continuation of the caretaker regime might suit the President and constitutionally there is little to stop him, although this is likely to be viewed with concern in Brussels. Another possibility is that the President may again try to appoint an ally of his as PM who in turn fails to win a confidence vote – a repeat of what happened over the summer and which leading to the early elections. This could then lead to a centre-right coalition or another early election. But fresh elections seem unlikely to be able to produce any clearer result so a strange flavoured sausage is perhaps on the menu. Is this a surprise? The fragmentation of the political spectrum (and the centre-right in particular) is the result of widespread disillusionment with the political class. 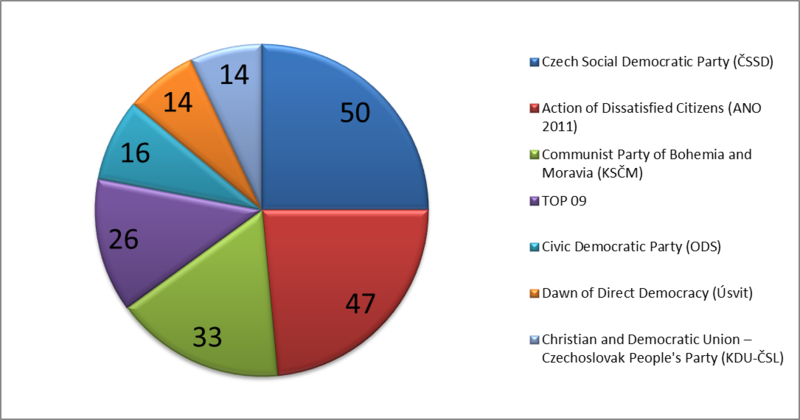 What will this mean for the Czech Republic’s policy towards the EU? 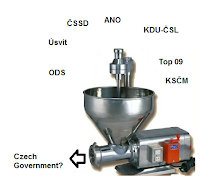 Under the ODS the Czech Republic was, as we point out here, in David Cameron’s pro-reform camp, but the ČSSD is unlikely to follow that route while the ANO is still an open book.